Motor Image Pilipinas, Inc. is offering a sweet deal to would-be Subaru XV buyers by offering savings as much as P 200,000 and a free aero kit this summer season. 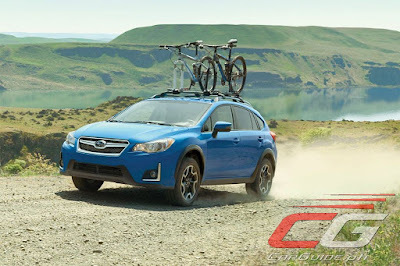 Although the all-new model is heading to Manila quite soon, the current model Subaru XV is looking all the more irresistible with this special promo. From now until the end of May, the only sub-compact crossover to offer all-wheel drive as standard can be yours with as much as P 200,000 savings as well as a free aero kit (front underspoiler, rear underspoiler, side skirts, rear spoiler). Customers can also opt for a low all-in downpayment of P 98,000. This includes free Chattel Mortgage Fee, Free Comprehensive Insurance, and Free LTO registration. And to put the cherry on top, all showroom walk-ins during May 6-7 and May 13-14 will receive free halo-halo from Subaru to beat the summer heat. Visit any of the Subaru showrooms nationwide and jumpstart summer with the Subaru XV. The 200,000 discount will be nullified by the depreciation once the new model arrives before the year ends.